Codes are central to understanding and working with NVivo—they let you gather related material in one place so that you can look for emerging patterns and ideas. You gather the references by 'coding' your files. 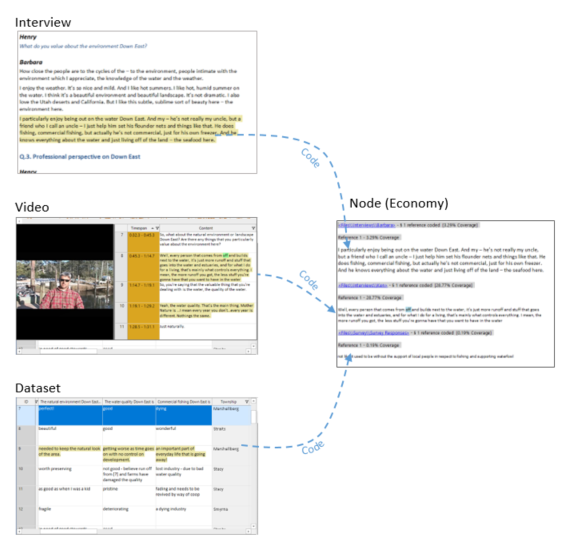 For example, you could select content in an interview transcript, video and dataset and code it at Economy. When you open the code Economy, you can see all the references in one place. The terms 'code' and 'node' are often used interchangeably.